You’ve probably come here after reading our first look run-down of the Canyon Grail over here. If not, you might want to swat up on the bike and the thinking behind those crazy handlebars. Already down with the tech? Read on! 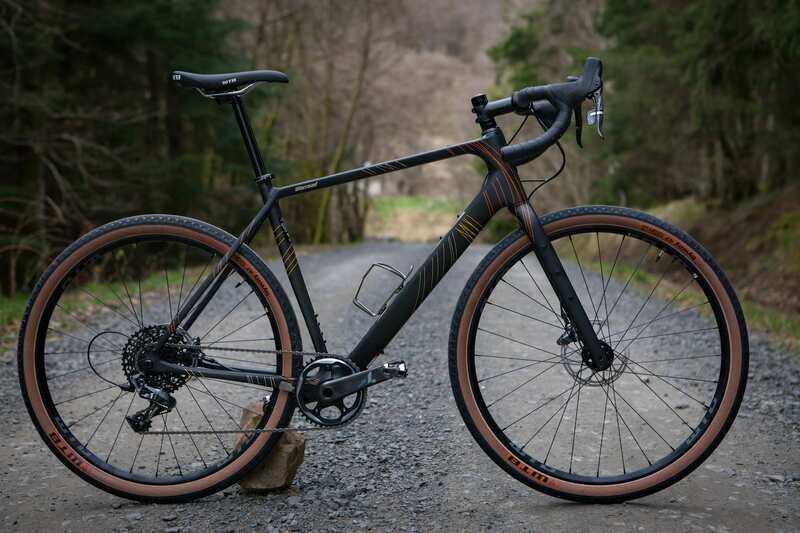 Just in case you are pushed for time, though, the Grail is Canyon’s answer to the oft asked question of “what should a gravel bike be?” It sits alongside the Inflite ‘cross bike and Endurace endurance road bike in the German company’s range. Nimble on the smooth and stable on the rough is Canyon’s description, and I’ll go with that. Starting from first principles, the aim was to have a bike that would be quick enough to take along to your regular club road rides, but capable of much much more off-road. So where were we? A hotel on Nice seafront, a room full of keen journalists. Unfortunately it was about 8pm, so we had to pop to the bar. Waking up the next morning, our keenness was dampened only by the damp weather outside. Actually, that’s an epic understatement. It was hammering down. Welcome to the Med in February. The weather was actually bad enough that we had to abandon our original ride plans in the mountains, in favour of a (still lumpy) coastal circuit. In a pop-up on the beach near Roc d’Azure, a line of Grails hung awaiting final fettling before we set off. Canyon was rightly keen to ensure that we had the best possible impression of the new bike, so we were all riding the top of the range CF SLX Di2. Just to recap, this comes with Shimano Ultegra Di2 – the full groupset, with a 50/34 double chainset and 11/34 cassette. Unsurprisingly, the bike also had Ultegra flat mount disc brakes. As befitting of a range-topper of a bike, the CF SLX Di2 comes with carbon wheels, in this case courtesy of Reynolds in the shape of their Attack ATR. After a quick saddle height adjustment and a procrastination-coffee we headed off, route already loaded on to a Garmin Edge 1030, fitted to an out-front mount, which bolts directly to those funky Hover Bars. Setting off in a group, there was the fizz and click of electric gears shifting and pleasant zip of low-profile tyres on wet tarmac. Our route took us inland immediately, and straight up, via a loose, wide gravel track – the kind of terrain that was to be our bread and butter for the day. Seated pedalling was comfortable and it was quickly evident that the VCLS seat post was working – both in terms of flexing and also the comfort it was dishing out to the derriere. The other striking observation was the Grail’s weight, or lack thereof. 8.2kg is spectacularly low for a bike with chunky tyres. As you would expect, acceleration is snappy and just plain easy. Riding into small rises it was impossible not to drive through the pedals and grin as the bike responded. So far, so expected. Light bike feels fast climbing. Nice, but not revolutionary? We continued our climb and after a quick pause thanks to losing my front wheel in a bank of gravel (classy and not the bikes fault, although some over-inflated tyres didn’t help. I dropped to a more sensible 40psi-ish shortly after). A quick glimpse down suggested that we wouldn’t be pointing down any time soon. Until this point, I’d been sitting in my usual preferred position, on the hoods. It seemed like an ideal opportunity to check out the Hover Bar. Bringing my palms to the top, I rested them there and kept turning a plodding cadence up the rough gravel road. And you know what? It was more comfortable. It was almost possible to feel the bar flex under the loading and unloading it underwent as the bike made its way over the chunky aggregate. I’ll be honest, I’m not sure that I’ve ever thought “these bar tops are just too uncomfortable” before, but the Hover Bar was a pleasant place to be, and over the course of the ride, I started to settle into using them on the many draggy climbs. Once the Schwalbe G-One Bites had a bit of pressure dropped out of them, they offered confidence inspiring grip on the damp, sandy surface. I’m not sure how they’ll cope with full on UK winter, but assuming they essential ride in a similar way to the G-Ones, I expect they’ll be pleasantly surprising, if not miracle workers. Fortunately, the climb did end and rather than losing height in one go, we contoured gently, freewheeling and gradually shedding altitude for a few minutes, before re-earning it again. Were the weather better, I’m sure we would have been treated to huge views out of the sea and into the Maritime Alps but clouds hugged the hillsides and trees, veiling the landscape from view. It’s worth spending some time describing riding in the drops on the Grail. Those Hover Bars offer a great little “notch” between the lower cross-piece and the mid-section of the drop. It was perfectly placed for resting my thumb and as a result creating a super-secure, locked in grip. I found this extremely comfortable, and easy to spend a long time in, on smooth trails at least. The down side to this position is that it did feed back more bumps than you’d normally expect to feel in the drops. We rode through jumbled aggregate that would have been brutal on any gravel set up, and the Grail didn’t work miracles, but where the rest of the bike felt like it was working with you, in this particular scenario, the bars didn’t work as well for me. Once clear and on more flowing terrain, calm was restored, and returned to a lower tuck. Shimano Di2 is superb and I find it hard to criticise the Ultegra version in any way. My personal preference on off-road bikes of any variety is a 1x system, but the 2x of Ultegra worked smoothly and quietly. My only small criticism was that in the unseasonably cold weather, my number fingers smashed helplessly at the Di2 buttons, frequently hitting the wrong one in frustration. Admittedly, it’s not something that happens on every ride, or more than one or two a year, but still worth noting if you expect to use the bike through the depths of winter. 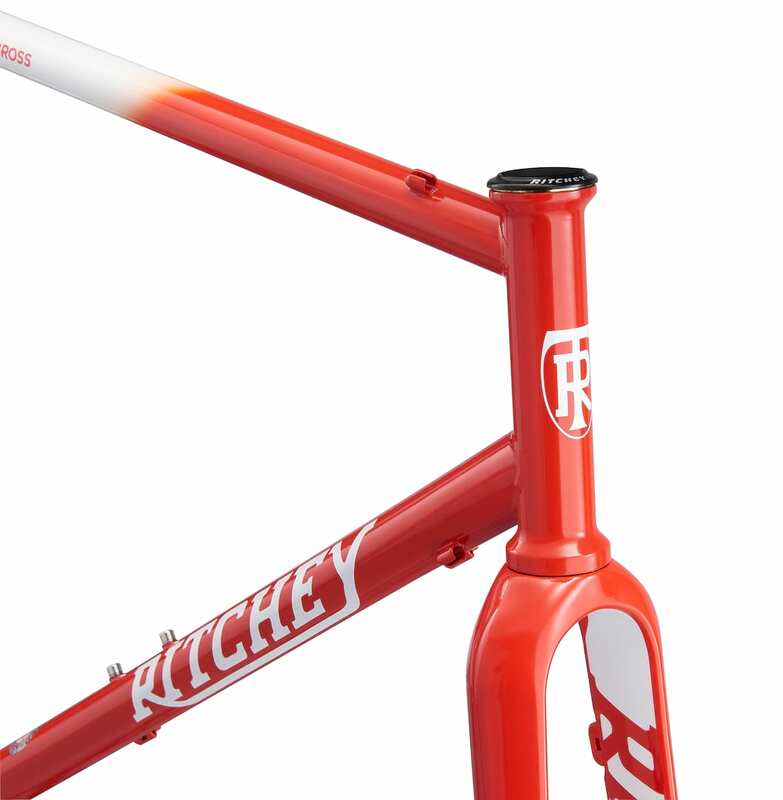 The frame felt superbly stable on descents, the relatively low bottom bracket meaning that it felt like a road bike on sweeping fast drops, never getting twitchy or nervous. It will be really interesting to try the Grail out on my local trails and in tighter, more technical terrain. I’m sure it will do just fine, but there wasn’t much opportunity to put that to the test on the day. Sitting in a coastal restaurant desperately trying to warm fingers around coffee cups, we chatted about the bike. Impressions all seemed to be the same: this is something quite special and impressive. In some ways it’s a shame that the bars are so striking and will be the inevitable talking point. They are probably as big an influence on the ride as any other part of the bike, but they are just part. 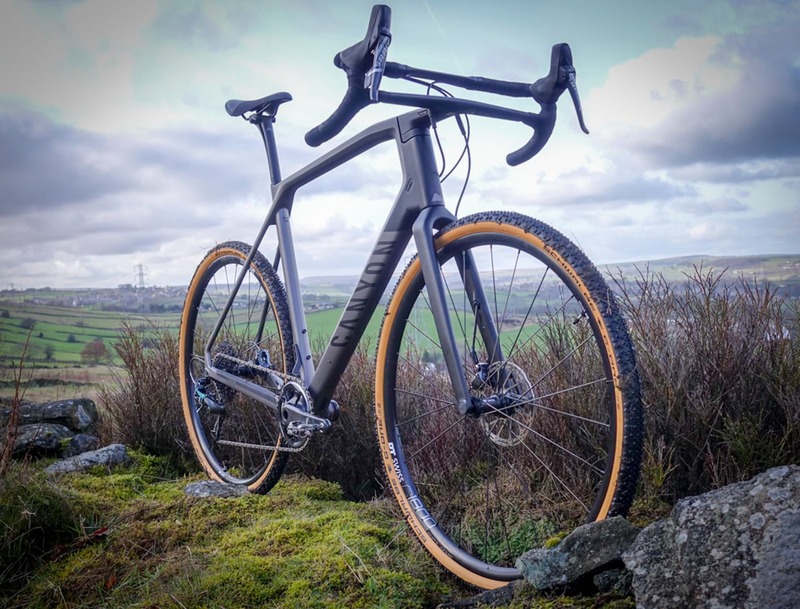 Fundamentally, Canyon appear to has designed and built what looks like an excellent gravel bike. Time will tell, but we can’t wait to confirm those suspicions on home soil. As expected well priced and like the sound of the (lack of) weight. TBH though carbon is no longer in my cross hairs burst least there’s talk of alu. Pity they didn’t include for a ride with the Topeak bags. Very interested in how the VCLS seat post works with a saddle pack attached. Sadly Ithink that cockpit could be the deal breaker for a LOT of folk. We’ll just have to wait and see.